Cootie Coo Creations: More Journals! 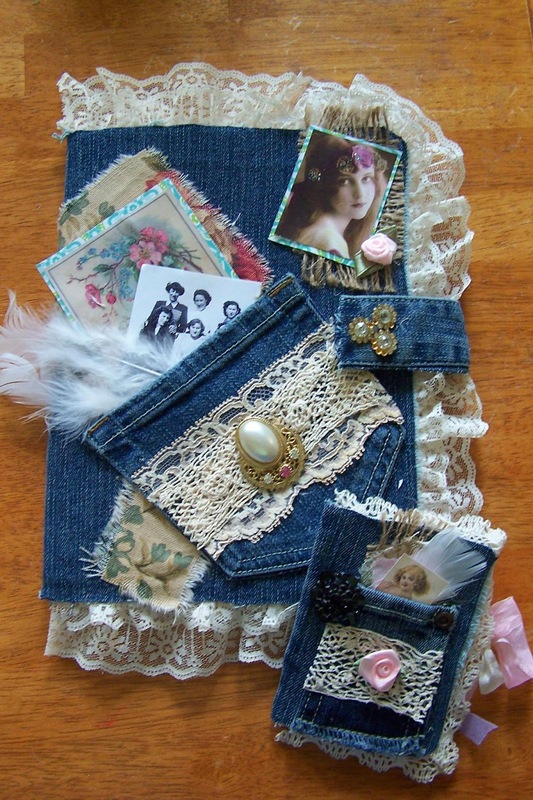 For those of you who are more "country" at heart, Liz has designed a set of journals covered in denim, with pockets and a mouth-watering array of embellishments. OMG! How to choose? Great news...there is no need to choose, you can sign up for BOTH classes. There will be a class offered on Friday, Saturday and Sunday, so you should be able to work one or two into your schedule!! Will October hurry and get here? ?